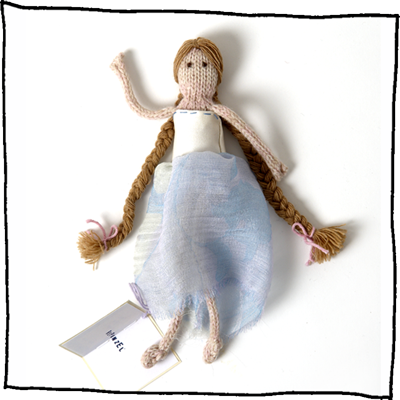 Bring a well loved fairy-tale to life with this beautiful hand knitted Rapunzel, complete with long, golden locks. Each doll is made from finest lambswool and dressed in a vintage fabric gown. Extra clothes are available to dress her in – she needs to be ready for when her prince arrives to rescue her!